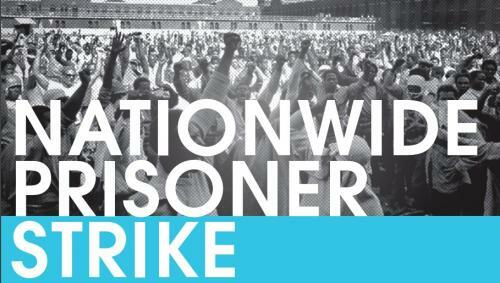 On September 9, 2016, to mark the 45th anniversary of the Attica prison uprising, more than 24,000 incarcerated workers went on strike in over 12 states. The strike was organized by the IWW Incarcerated Workers Organizing Committee. Over two million fellow workers are caged behind bars, more than 200,000 in California. Slavery was abolished by the state in 1865, however the 13th amendment carved out a sharp exception: slavery or involutary servitude was permissable for incarcerated workers. 2.4 million incarcerated workers work eight or more hours a day, with no union representation, making between $0.23 to $1.15 per hour, over six times less than minimum wage. Meanwhile, corporations receive tax credits and reap big profits off forced labor. California Prison Industry Authority reported profits of $58 million in 2014-15. The panel will share the genesis of the prison strike, why prison strikes are necessary, and the impact of direct action towards abolishing the prison industrial complex.